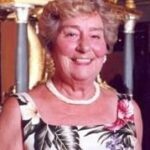 Lois Ada Smith passed away at the age of 81 years on the morning of July 28th. Lois and husband Raymond Smith had four children together. Raising their family in Valemont, BC, they became long-term, respected fixtures in the logging industry of that area. 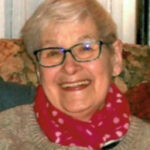 Lois had moved to Revelstoke in 2007 to be nearer to family members and grandchildren after most had drifted away from Valemount B.C. where she had lived for over forty years. Norma was born in Bootle near Liverpool in England. She met and married Ralph on 19 March, 1955. They sailed from Liverpool to Canada and crossed by train straight to Salmon Arm in July 1966.
were born in Regina, Saskatchewan. Daryl was raised in the city of Regina, and Donna-Lynne grew up on her family’s farm just outside Edenwold, Saskatchewan. They met in their 20’s when Donna-Lynne was a teacher, and Daryl had recently become a member of the RCMP. They were married on Donna-Lynne’s family farm, then moved to British Columbia where Daryl was posted with the RCMP. They raised their family of three children (Jarrett, Tyler, and Jenna) in the communities of Kelowna, Keremeos, Dawson Creek, New Hazelton, and Sicamous – eventually choosing Sicamous as the community where they retired. Welcome to Del & Mid Vaughan, our newest Partners. After retiring, Del & Mid built their home on the lake in Eagle Bay. 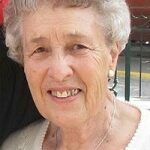 Sadly, Del passed away in December 2012 from cancer. Mid now lives in Salmon Arm during the winter and enjoys the lake with her family in the summer. We are very grateful for the caring generosity of people like Del & Mid Vaughan. Aileen Cruickshank placed a fish on the Recognition Wall for her husband Alvin Cruickshank. Al was the second oldest of a family of nine children, born and raised in Owen Sound, Ontario. He took early retirement from a large printing firm, where he was Foreman of the Electrical and Maintenance Department. He decided to move from Ontario to Salmon Arm, BC in May, 1989 to be closer to his only child, daughter Terry Adair, and his only grandchild, grandson Jamie Adair. He enjoyed golfing, lawn bowling and curling. Alvin died on July 12, 2001. 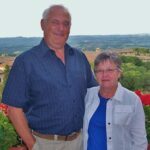 Dennis & Margaret Potter moved to Salmon Arm in 1996 from Vancouver. They had always been supporters of their local hospital and continued with that tradition when they moved to Salmon Arm. Sadly Dennis passed away in 2003. His wife Margaret is still very proud to carry on the tradition and today at 97 she is very pleased to be able to contribute and support the purchase of health care equipment needs within our community. The Shuswap Hospital Foundation is extremely grateful for the generosity and support of Dennis & Margaret Potter.